PREMIA is a privately held Third Party Administrator (TPA) focusing on providing Medical Case Management, Claims Management and Administration Services. Combining unparalleled experience, deep industry knowledge and extensive functional expertise across the insurance and the health care field, we collaborate with clients for sustainable improvements in health care costs and patient care services. PREMIA was founded by professionals with over 17 years experience in delivering consulting services, medical claims, medical auditing and specialised software in the health insurance and the health care sector. Long before medical audit was a major force, our founders envisioned making afforable, better and more consistent health care services possible. We have extensive relationships with leading health care organizations of all sizes, both in the private and the public sector. Our commitment to client satisfaction strengthens and extends our relationships, as many of our valued clients have been working with us. Currently, our practices perform audits for leading private insurance companies. Today, healthcare organizations are facing more urgent challenges, ranging from increasing cost effectiveness to boosting quality of care. Our strategy work focuses on driving value. Whether we are supporting an insurance company or a public payor, we have a deep understanding of the complexities our clients face and can draw upon our long experience for best practices and key insights. Our auditing and claims management services are powered by our exclusive SMART Health Insurance Software, a sophisticated integrated system that allows our clients to enhance analytic capability, manage costs and streamline medical review while maintaining efficient utilization of healthcare resources. Given that we transmit and store a large volume of medical and personal information in the course of providing our services, we are proud to announce that PREMIA Health Auditing & Consulting SMART Health Insurance Software is the only provider in this field of expertise in Romania that earned ISO 27001 certification. ISO 27001 is one of the most widely recognized, internationally accepted independent security standards. This certification, along with ISO 9001 and ISO 20000-1, helps assure our clients that PREMIA is committed to the provision of highest quality Third Party Administrator services with ongoing development and maintenance of a robust Information Security Management System (ISMS). PREMIA supports its customers with highly experienced and professional teams that deliver medical care management solutions. The company currently employs people with specialized backgrounds in the health insurance the health care field, from board certified medical physicians in a variety of specialisations, to claim examiners with experience in claims, managed care administration, caring customer service and administrative staff representatives, PREMIA is able to provide a wide array of knowledge and best practices regarding cost reduction, avoidance of supplier induced demand, and improvement of their patient care services quality. 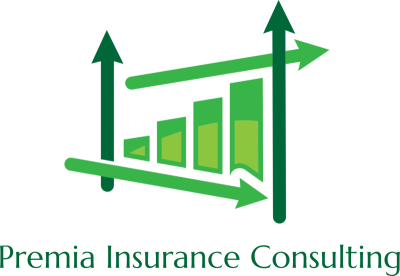 "The most experienced insurance consulting, medical auditing & medical case management services in the area." "Professional advices & services that can save you time and money." "Marketing experience that counts when trying to reach your customer base." "Professional project development, planning and operational medical management"